With convenience and functional foods gaining ground, specialty food ingredients such as savory flavor ingredients are also witnessing a strong demand growth. 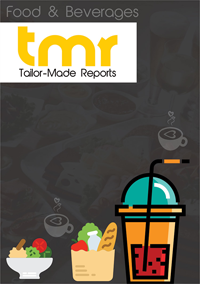 Owing to visibly escalating consumption of savory flavor ingredients by prepared and packaged food manufacturers, and specialty flavor and seasoning innovators, the next few years are likely to see robust expansion of the global savory flavor ingredients market. As an expanding consumer base is developing proclivity for rich flavor profiles of a variety of foods, it is anticipated to boost the progress of savory flavor ingredients market. Frequent flavor innovations and rising popularity of flavor blends across diverse savory product categories is another factor projected to encourage the revenue growth of savory flavor ingredients market in coming years. A majority of the companies actively partaking in the competitive landscape of global savory flavor ingredients market are prioritizing product innovations through extended R&D investments, whereas some are maintaining their strategic focus on regional expansion. Developmental strategies of key players are also identified to majorly rely on local and regional consumer preferences for tastes and flavors, according to research. In the wake of diverse taste preferences of consumers and vast difference between local and regional level choices of tastes and flavors, Ajinomoto Co., Inc. recently announced the expansion of their existing products portfolio to include country-specific flavors, including savory flavor ingredients, RTE food ingredients, and soup ingredients. Yeast extract has been one of the top selling savory flavor ingredients over the years, and looking at the elevating demand for yeast extract, Royal DSM has extended investment in yeast extract production capabilities. With this, the company intends to achieve backward integration and scale down third party dependence for yeast supply. A number of key players operating in the global savory flavor ingredients market are adapting to the growing trends of natural, organic, vegan, gluten-free, non-GMO, Halal-certified, and Kosher-certified ingredients. DSM recently launched a complete lineup of naturally sourced savory flavor ingredients, based on yeast extracts - Maxavor YE. While briskly developing economies such as India, Indonesia, China, and Vietnam reflect lucrative potential to instrument a strong base for the growth of savory flavor ingredients market, it is more likely that leading manufacturers of specialty food ingredients would invest in business expansion & R&D across these regional territories. In addition, escalating favor for Asia’s authentic flavors across European and American countries points to the is compelling specialty flavor brands such as Nestle S.A. to focus on a host of Asian flavors as a part of regional and exotic flavor promotions. Similarly, seafood and sushi constitute the most popular preferences in Japanese savory flavor ingredients market, whereas China’s savory flavor ingredients market has been witnessing growing traction for meat-based flavors. Chinese and Japanese cuisines fall in the most popular category that enjoys generous use of savory flavor ingredients. Post witnessing elevating popularity in food service institutions and restaurants, savory flavor ingredients are witnessing a rapid uptake across the processed and convenience foods sector, especially in soups, instant noodles, and ready (RTE) meals. Several other snacking products such as popcorn, chips and crisps, extruded snacks, nuts and fruit snacks, corn chips, and pretzels are also cited to contribute significantly to the growth of savory flavor ingredients market. The lines between savory and sweet flavors are foreseen to blur in coming years, pushing blends of sweet-savory flavor ingredients that could create lucrative investment opportunities for traditional grain-based foods manufacturers. Seeds, citrus, and floral flavors are blooming, fueling R&D interests among savory flavor ingredients manufacturers.